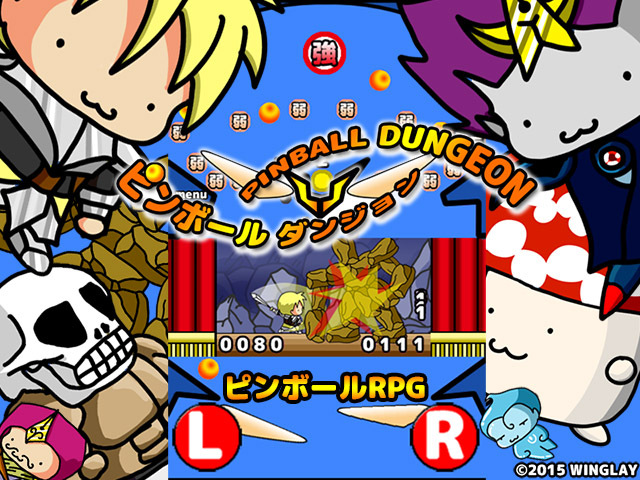 Pinball RPG: Beat enemies with the Pinball! 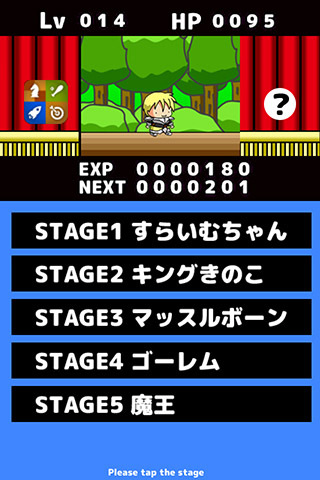 Tap to select a stage. Target weak enemies while your level is low. Push "L" "R" to activate the Flippers. The longer you hold the buttons, the harder the Flippers strike the ball. You can attack the enemy hitting the Bumpers with the ball. When the ball goes into Special Attack Target, you can use Special Attack. 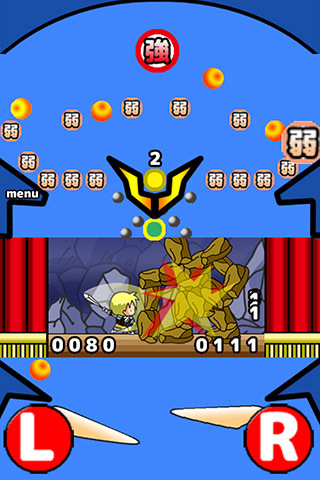 If the ball goes into the Special Attack Target as many times as the number above it, you get an additional ball. When you drop the ball, the enemy attacks you. If you drop the ball several times, the enemy uses the Special Attack. 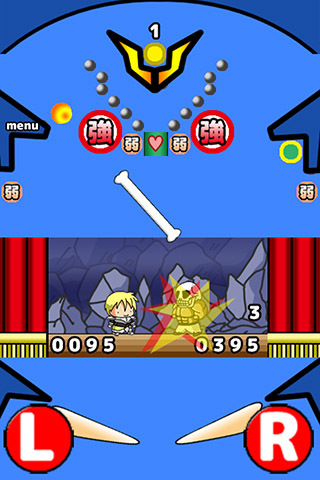 Special Attacks vary from enemy to enemy. If the enemies life becomes 0, you win. If your life becomes 0, you lose. When the ball goes into the Warp Target, you can send the ball to the fine area. 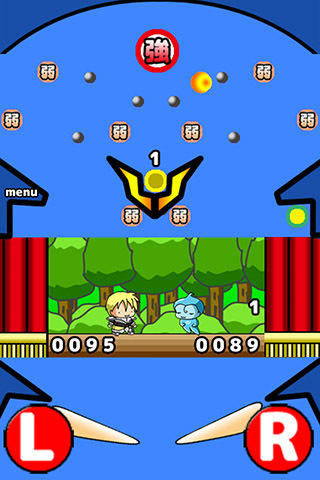 Tap the screen to activate Table Bump when the balls stuck. Tap the "menu" and "L" to go back the stage select menu. You gain EXP points beating enemies. 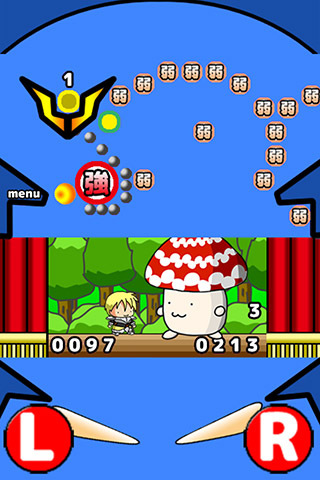 Level up and beat strong enemies!